The figures are in and they are the talk of internet news. Comic sales in 2017 fell by about 10% compared to 2016. This caused panic in the stock market with shares in Disney (Marvel), Netflix and Warner Bros actually falling in January 2018. As always the stock market over reacts, but there is some learning to be had by Marvel and DC if they listen. Our experience at Ace Comics through our various retail channels shows that, here in the UK, the same 10% fall in sales has occurred and from talking to other retailers, it seems that they have encountered the same drop. It’s quite remarkable that both the US and UK market have reacted simultaneously, so I do not see this as some sort of Brexit reaction. Image and DC are still the firm favourite publishers of the comic book shops with Marvel playing the villain. Ironically, Marvel seem to be the fans’ favourite if you look at the volume of sales, but these sales cover a larger number of titles. In my book it is DC lead regarding sales, respect for customers and respect for comic sellers. The main blight on comic book sales last year was the exasperation of a great number of fans over the never ending procession of #1 issues and re-launches. This is leaving long term readers angered, with some quitting buying certain titles, if not comics altogether. 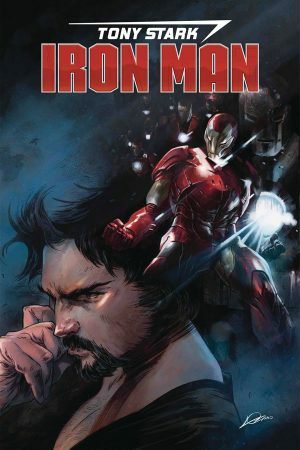 New readers can get confused and overwhelmed when deciding upon the best entry point to understand the worlds of Iron Man, the Avengers or the Justice League. Comic shops are even more confused and vexed when choosing how many comics to stock for each of the re-launches – many just keep cutting back to avoid over stocking. All the major players have so far ignored the warning signs and this June – and into the summer – we will see the release of a large number of #1 issues once more. There will be Superman #1, Justice League #1, Iron Man #1, Avengers #1, Doctor Strange #1… the list goes on. Thor under the control of Jason Aaron has had more than it’s fair share of #1s, however, each series has been a roller coaster ride of action and adventure and well worth my money and time spent reading them. 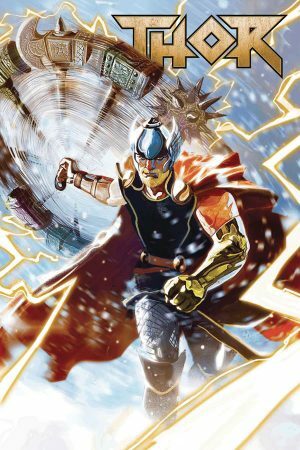 This new series kicks off with Thor #1 – after Asgard is destroyed, valuable artifacts are strewn across the surface of Earth and Thor Odinson sets about collecting them. Count me in. Dan Slott has left Amazing Spider-Man (his last issue will be Amazing Spider-Man #801) and is now writing Tony Stark: Iron Man. Love him or loathe him, Dan kept Spider-Man fresh for the last decade and if he can do the same for Tony Stark, I’m all for it. 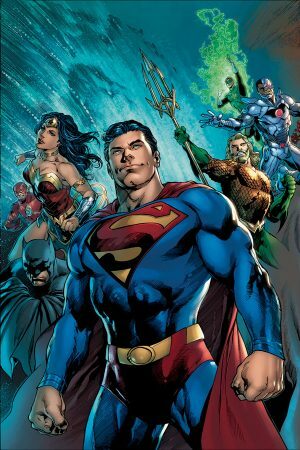 Brian Michael Bendis has jumped ship from Marvel and is now in charge of the main man at DC, Superman. He is kicking off his new run with a nod to John Byrne by having a six-issue miniseries titled The Man Of Steel, before launching into Superman #1. 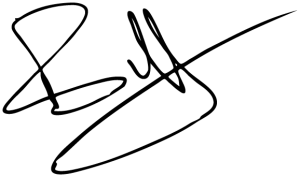 Brian has been one of Marvel’s main writers for the last fifteen years and seldom failed to deliver entertaining stories and books. A bit slow on his self published line? Maybe. I have great hopes for this re-launch and will be pushing this in store with hundreds of copies of DC Nation #0 available for customers. 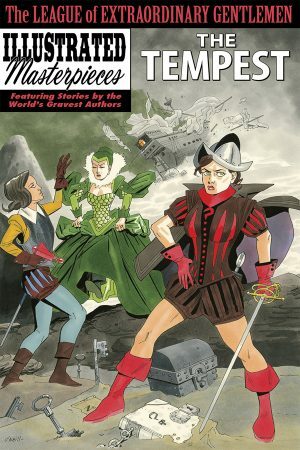 Finally, from IDW Publishing / Top Shelf, we have the last part of the League of Extraordinary Gentlemen, titled The Tempest. Not only is it the last part of this critically acclaimed series, but purportedly it will be the last ever comic work by those doyens of comics, Alan Moore and Kevin O’Neill. I doff my hat to the pair of them. Always intelligent, always ground breaking, always anti-establishment, they really will be missed by the comic reading community. Mission for the month: Eat just enough Easter eggs to enjoy them.